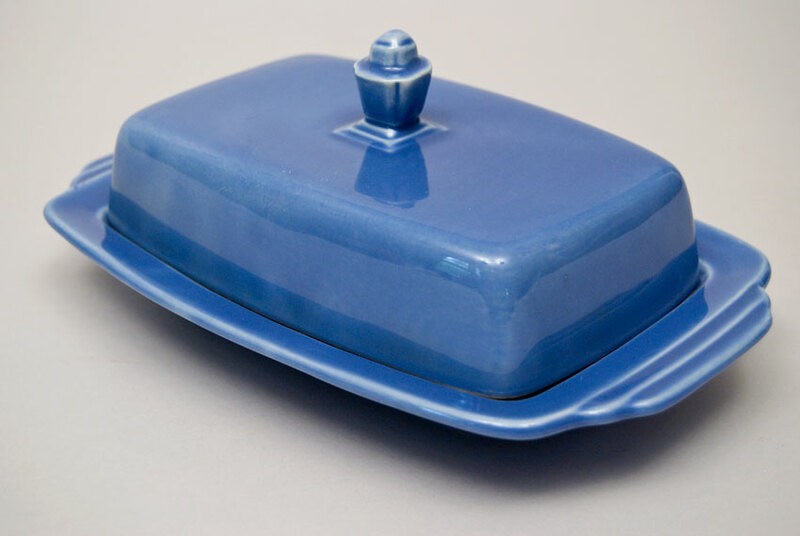 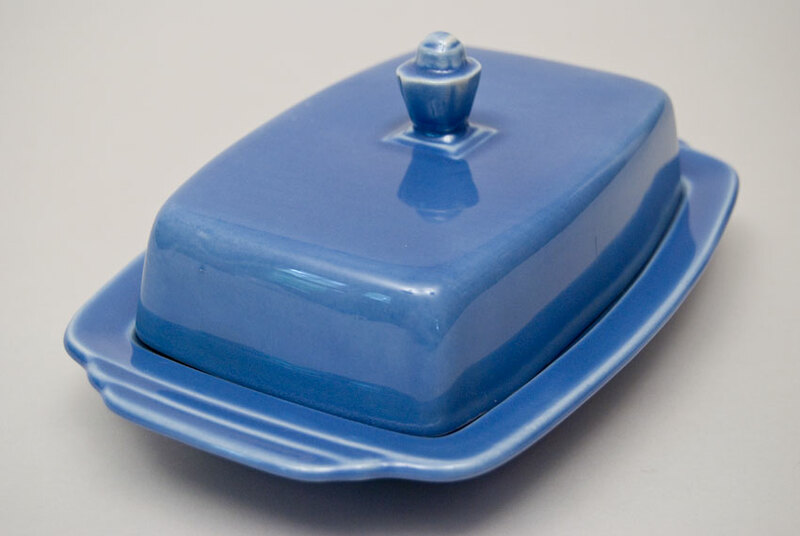 Circa 1938-1948: Fiesta collectors lament that there was never a butter dish for the line, but the adventurous can rejoice in the Harlequin butter dish shape, which was designed in the early 30s. 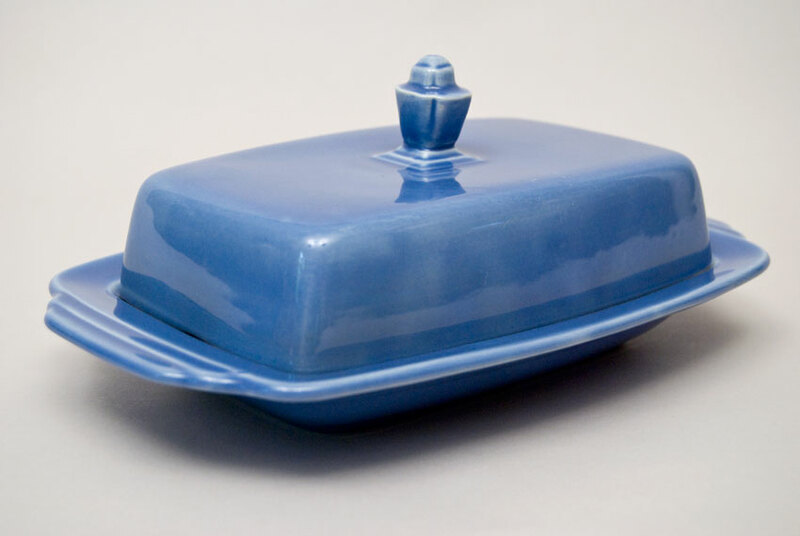 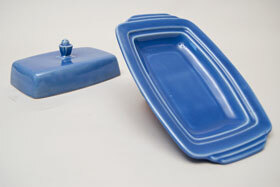 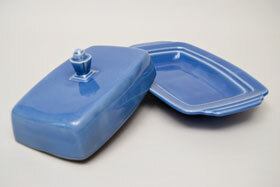 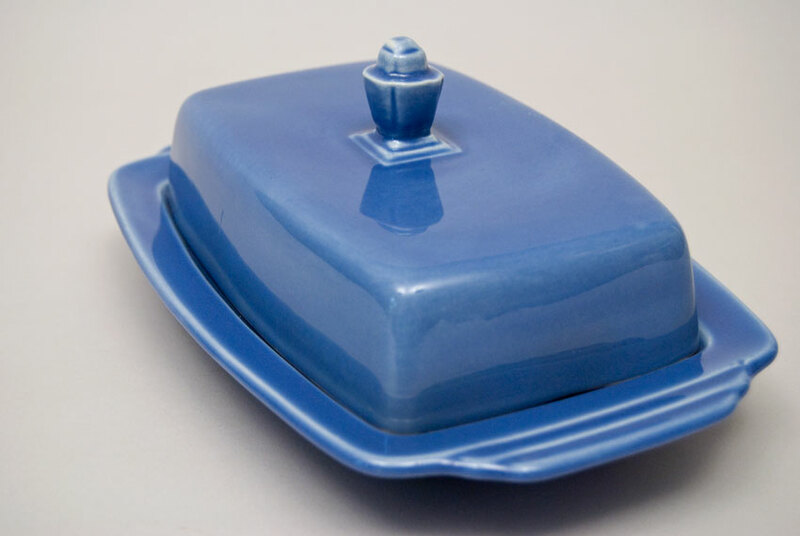 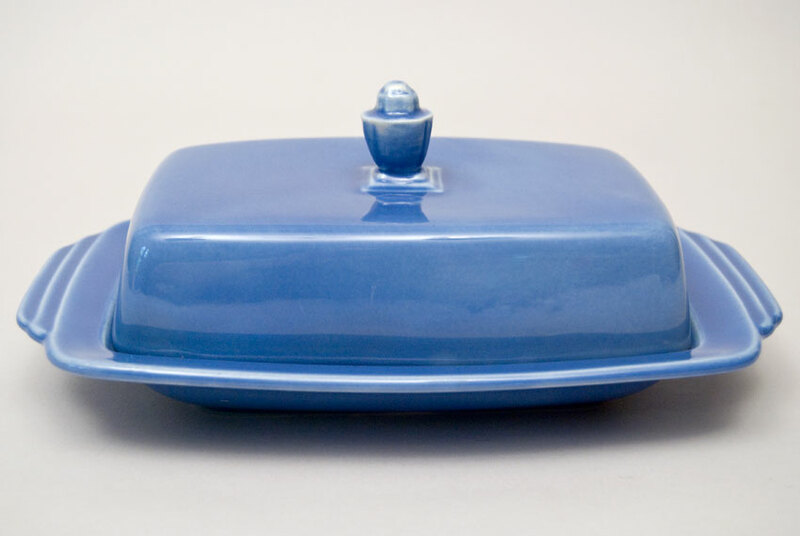 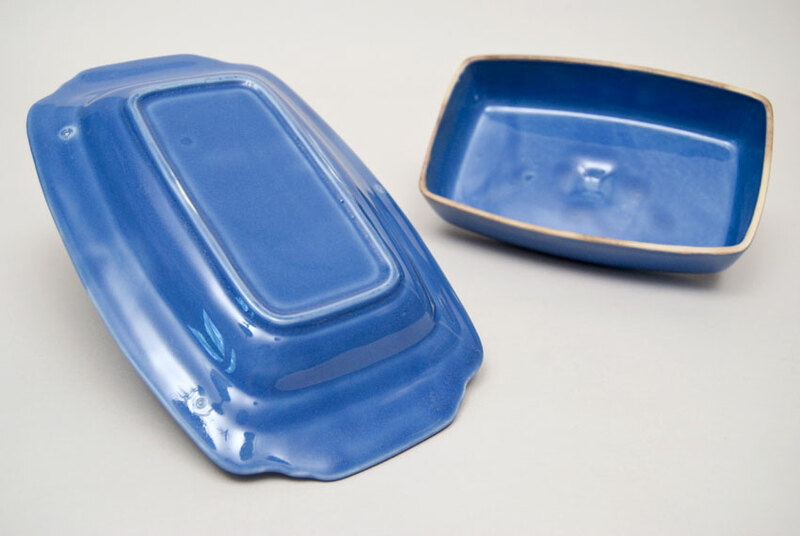 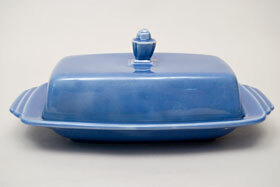 This is the larger of two sizes of butter dishes manufactured by Homer Laughlin and is referred to as the half pound butter. 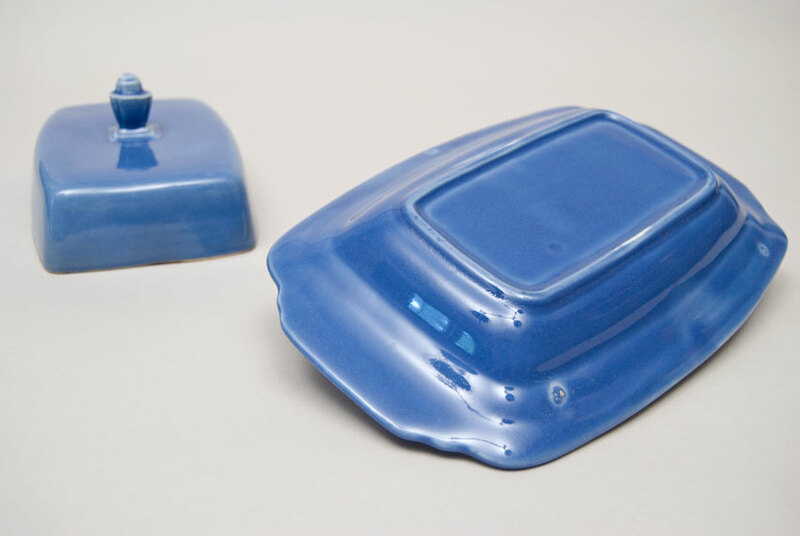 This example in mauve is in very good condition with no damage, no chips or cracks, no touch-ups, no scratches or wear on the base or top.